i've been on the hunt for an alternative to Cutex Twister With SPA Formula (press sample) as i haven't been able to find it in store :( you can buy it from their website, but then you have to pay shipping, which really drives the price up. it appears that you can buy it at Target, but the website says that store inventory is temporarily unavailable... my guess is that you can't get it in store any more. i found Onyx Professional Glitter & Nail Art Jar nail polish remover and wanted to try as it as a possible dupe/alternative to Cutex Twister! i saw this product at Five Below, and for $4 figured it was worth a shot. here's what the jar looks like! 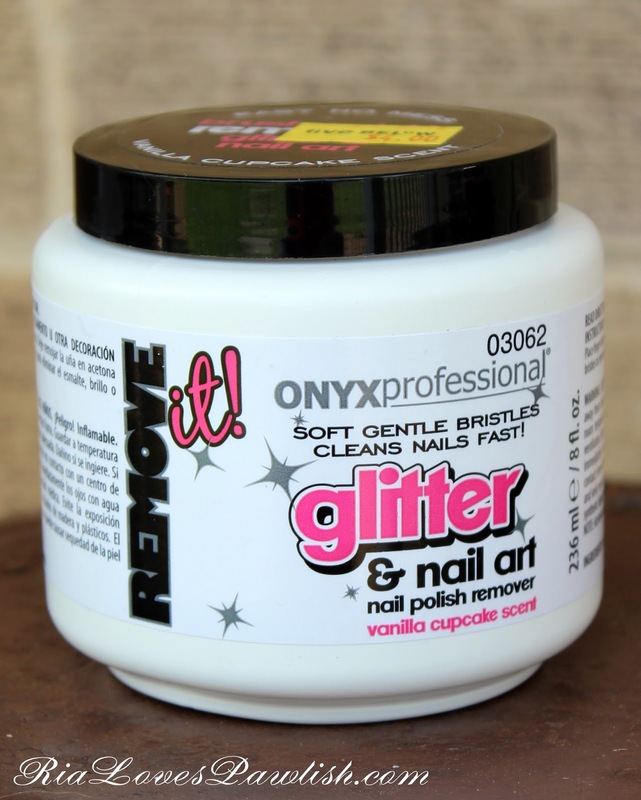 the Glitter & Nail Art Jar differs from the Cutex Twister in that it only has a brush on the inside, as opposed to the Twister's brush and sponge combo. Glitter & Nail Art Jar polish remover has a vanilla cupcake scent... i was concerned because i'm pretty sensitive to smells, but thankfully it's not too strong and doesn't linger. i found Glitter & Nail Art to be fairly comparable to Cutex Twister. it removes glitter polish much more easily than traditional scrubbing... i think it works best to stick one finger in the brush, then twist the jar itself while pressing your nail into the brush. it does work for regular polish, but i do prefer sponges. i think i might buy another Onyx Jar that has just the sponge... i like sponges for basic polish because they aren't scratchy like the brush... but you definitely need the brush for glitter! check out other Onyx Professional products at www.onyxbrands.com. 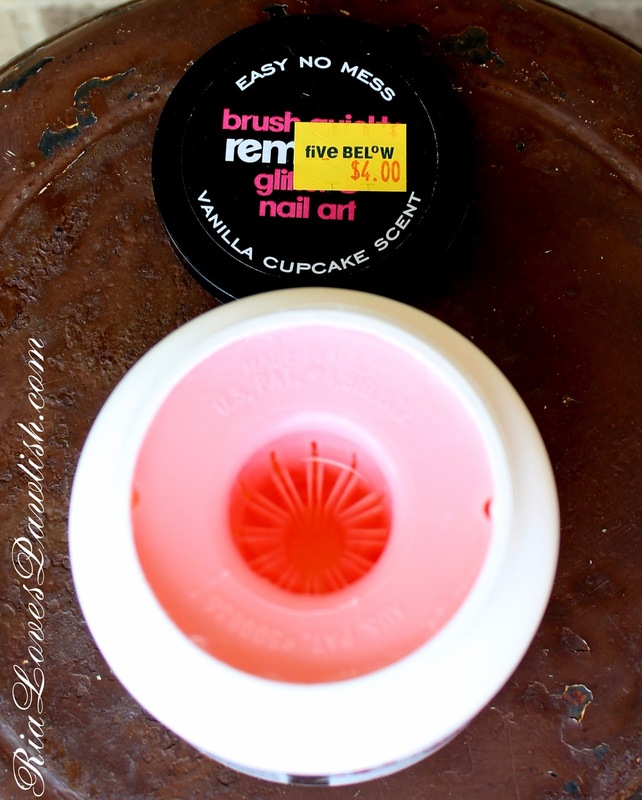 according to their site, you can find the Glitter & Nail Art Jar at Five Below, Walmart, and ineedbeauty.com. it's $4 at Five Below where i purchased it!